A few weeks ago I had the good fortune to see a fascinating exhibit entitled The King James Bible: Its History and Influence at the Harry Ransom Center at the University of Texas at Austin. Four hundred years after its first printing, the King James Bible remains one of the most widely read and printed books in the English language. Its language and phraseology still permeates contemporary music, literature, and everyday speech. The exhibition told the little-known story of the translation and making of the King James Bible. I would not have thought that the King James Bible, first printed in 1611, would have a Lewis and Clark connection, until a panel on early translators of the English bible caught my eye. It mentioned Matthew’s Bible, a 1537 translation credited to the imaginary “Thomas Matthew.” In fact, the panel stated, the real editor of the work was John Rogers, a clergyman and chaplain of the English merchant’s company in Antwerp, Belgium, where another Bible translator named William Tyndale lived. A friend of Rogers, William Tyndale was a young priest living in defiance of the law. His modern English translations of the New Testament and parts of the Old Testament, published in the 1520’s and 1530’s, were the first English translations made from the original Greek and Hebrew texts of the Bible. They were also considered heresy. A 1409 English law, still on the books over 100 years later, decreed that it was heresy to own or even read a non-Latin Bible. Tyndale had asked permission from the bishop of London to perform his translation, but he was denied, so he had moved to Europe, where he published a complete English New Testament and then began to translate several books of the Old Testament. Unfortunately for Tyndale, when the contraband books reached England, King Henry VIII was not amused. Under English law, heresy was punishable by burning alive. 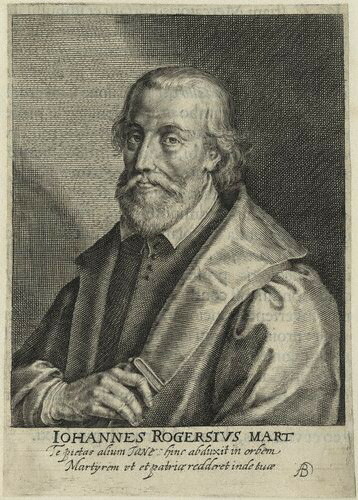 Tricked out of seclusion, Tyndale was arrested in Antwerp and thrown in prison. In 1536, he was convicted of heresy, defrocked, and burned at the stake. In a supposed act of mercy, Tyndale was said to have been strangled before his body was set ablaze. However grisly his death, Tyndale had made an impression on his friend John Rogers. 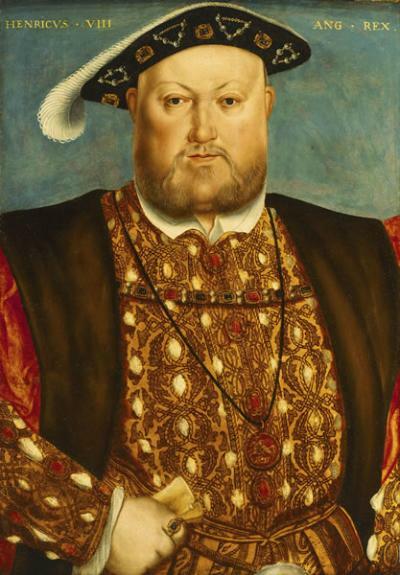 In 1537, a year after Tyndale’s death, Rogers edited and published an edition of the Bible based largely on Tyndale’s translations under the name of “Thomas Matthew.” Fortunately for Rogers, Henry VIII was in the process of breaking away from the Catholic Church and forming the independent Church of England. Henry liked the “Thomas Matthew” translation and licensed it to sell in England, making it the first English edition that was legally sold there. Under the reasoning that every English church should have at least one English bible, 1500 copies of Matthew’s Bible were printed and distributed to English parishes. Unfortunately, Rogers was not destined to escape his friend Tyndale’s fate. After taking charge of a Protestant congregation in Wittenberg for some years, John Rogers returned to England in 1548 and was eventually appointed the divinity lecturer at St. Paul’s Church. He was outspoken and iconoclastic, declining to wear the prescribed vestments, instead wearing a simple round cap. When Queen Mary took the throne in 1553, Rogers preached at Paul’s Cross, warning his hearers against the “pestilent Popery, idolatry and superstition” of the Roman Catholic Church. Ten days after this bold public display, on August 16, 1553, John Rogers was summoned before the council and placed under house arrest. In January 1554, the new bishop of London sent him to Newgate Prison, where he languished for over a year. In January 1555, Rogers was sentenced to death for heretically denying the Christian character of the Church of Rome and the physical presence of the body of Christ in the sacrament of communion. 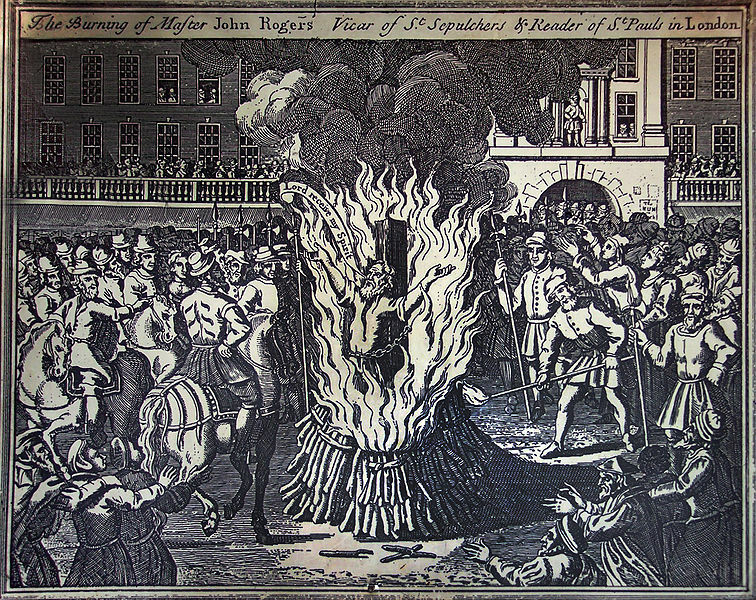 John Rogers was burned at the stake on the February 4, 1555, at Smithfield in London, one of many victims of Queen “Bloody” Mary. His great grandson, named Thomas Matthews Rogers, was the father of Giles Rogers, who emigrated to America in 1680. Giles Rogers is the great-grandfather of explorer William Clark. For the record, Mary Queen of Scots and “Bloody” Queen Mary were two different people. Thanks, Shannon! 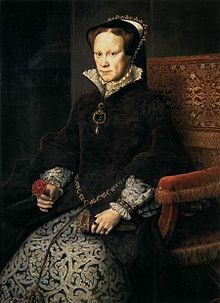 All these years and I thought Mary Tudor/Bloody Mary was also Mary, Queen of Scots. Come to find out, that was Mary Stuart, who was never the Queen of England, and was the mother of King James. Whew! Learn something new everyday.